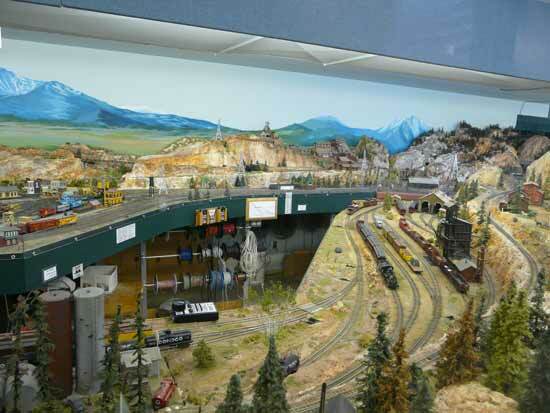 While on vacation in Colorado in the summer of 2012, Bill Payne, a fellow member of the Nottawasaga Model Railway club, visited the Colorado Railroad Museum. 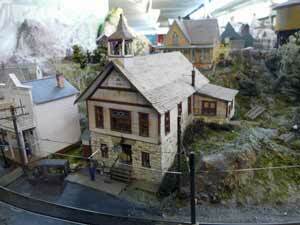 They have an HO model railroad club in the museum. 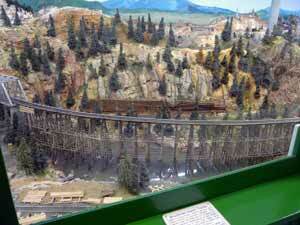 I've posted many of Bill's prototype pictures at Colorado photos that covers locales he visited such as Silverton, Durango, Georgetown Loop, Chama and Strasburg. 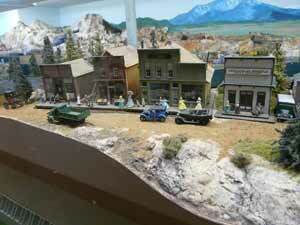 He told me that a highlight of his trip was to the Colorado Railroad Museum in Golden. 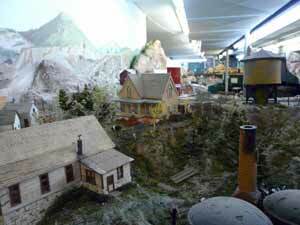 For more information about the narrow gauge club, the exhibits, train rides and restoration work, go to Colorad Railroad Museum. 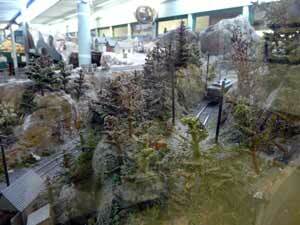 Here are a few pictures taken at the HO model railroad club. 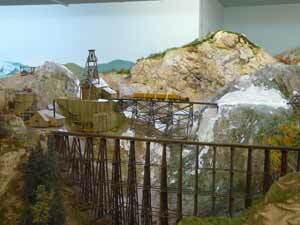 Go from "narrow-gauge-club" to Colorado railroads. 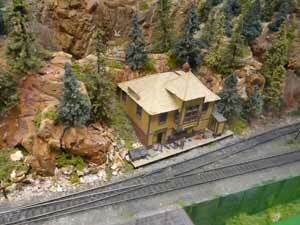 Go from "narrow-gauge-club" to My model railroad (UNRR). 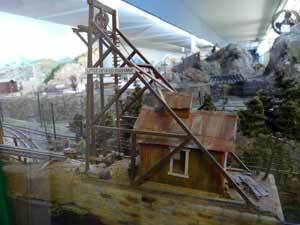 Go from "narrow-gauge-club" to Train photos overview. 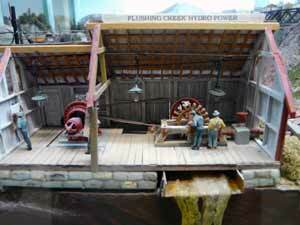 Go from "narrow-gauge-club" to Train videos overview. 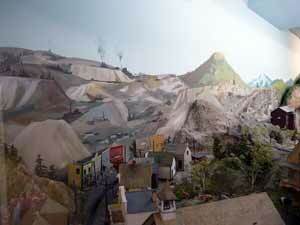 Return from "narrow-gauge-club" to my Home Page.